Today I have a men's card to share with you. I have used a kraft, cream and brown colour scheme. To make the card I started by laying up the background elements. 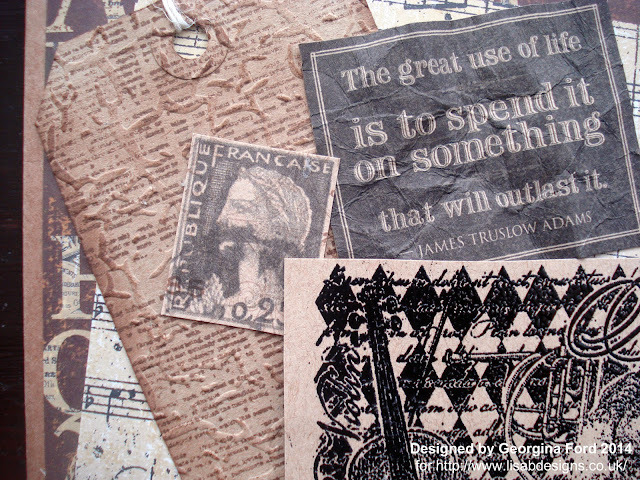 I used Letters and music patterned paper and also Graphic45 Quote Unquote and Glimpse of Paris 12x12 papers. I either added the papers flat on the 6x6 kraft card blank or I scrunched up the papers before adding to the card to add extra texture and dimension. 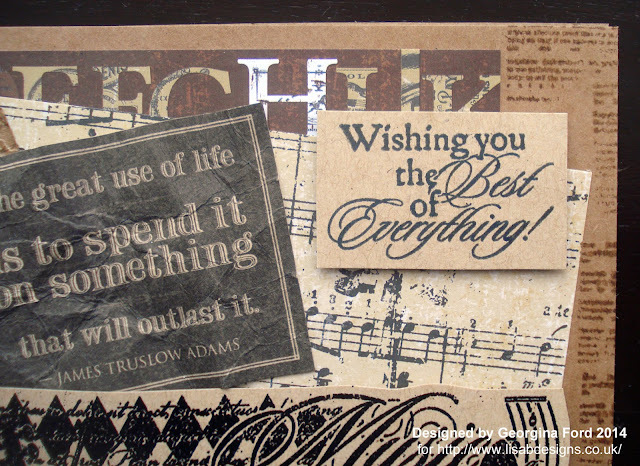 The main stamped music image and the sentiment are from Hobby Art's Musical stamp set. The sentiment I stamped with Tuxedo Black Memento ink pad onto kraft card. 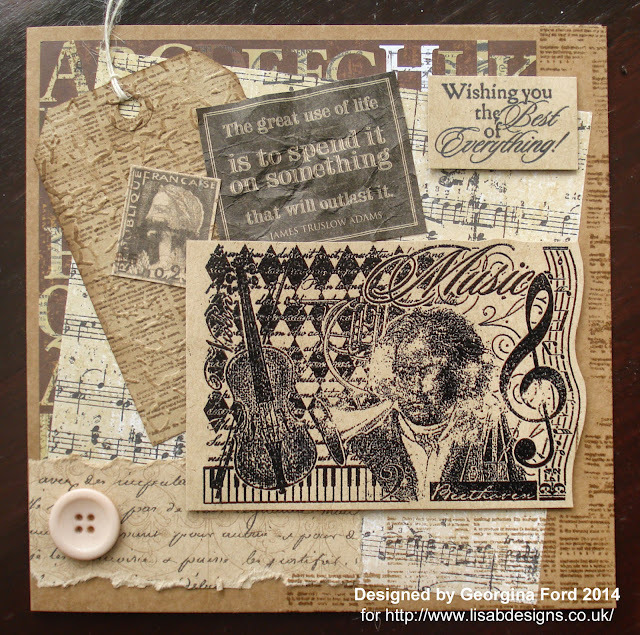 The musical image I stamped with a VersaMarkink pad and then heat embossed with WOW Ebony embossing powder.